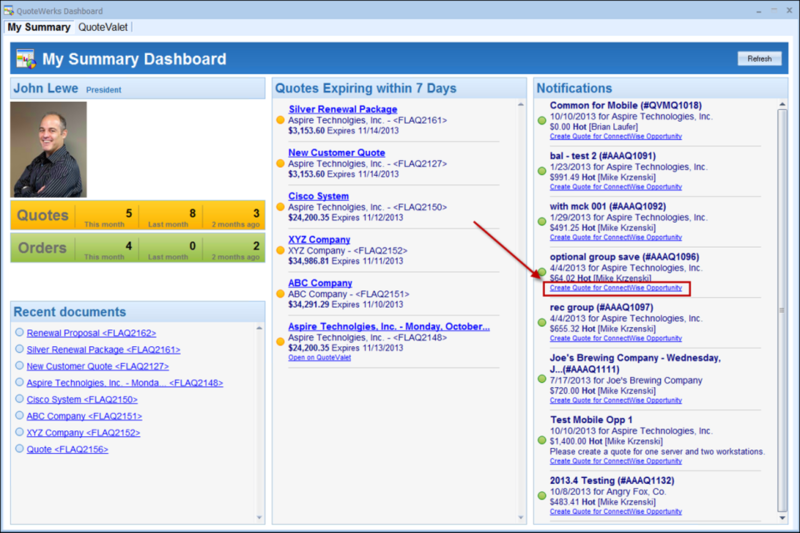 Pros: Quotewerks has the ability to see if and when your customer sees your quote. When we were looking into the product, we had received a quote from our Quotewerks sales rep and it had been ignored and was expired. We opened the quote a few weeks later to take a quick look at it and 15 minutes later we got a phone call from our sales rep. "I see you opened this expired quote. I wanted to answer any questions for you and get an updated quote if you are still interested." That sealed the deal for us. Then we found out all of the other amazing things it could do and have loved it every day. It has easily paid for itself many times over. Cons: Quotewerks must run locally. There is a web version in development, but it is still pretty green. If you need to use it remotely you will need either Terminal Services or VPN to access it. 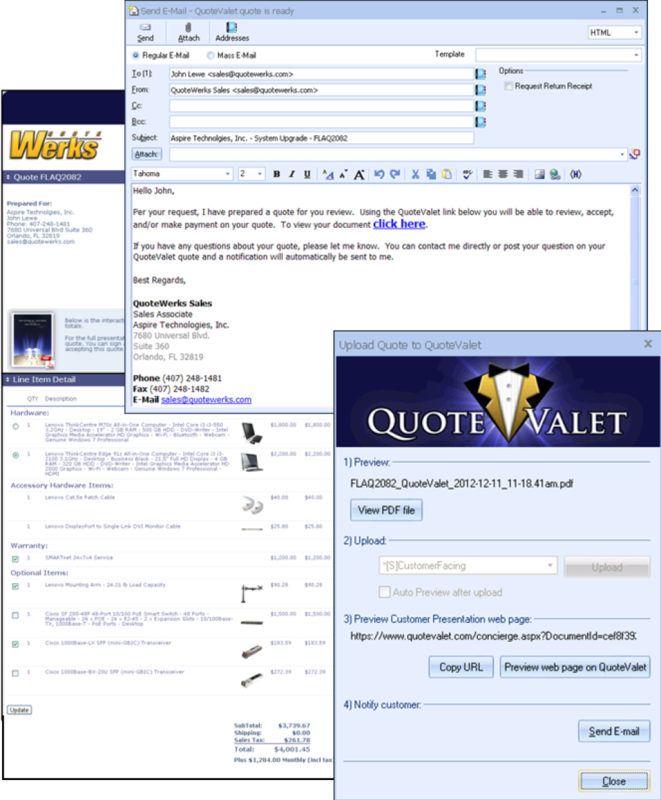 The Quote Valet add-on gives it some web connectivity features which are helpful for viewing existing quotes and responding to customers, but not necessarily for building new quotes. Once they get the web version finished, that should help with this a lot. Overall: The quote visibility and access to online sync resources is super helpful in our quoting process. Pros: Integration with our CRM (ACT) and our accounting S/W (Sage) was a major selling point. We also export .xml files and import them into warehouse management system via edi. Ease of use was also very important to our purchase decision. QW was also recommended to us by our ACT consultant who was familiar with our business. The online QW demo and videos were great at showing the ease of use of the product too. Cons: The reporting function is not great. We invested in MasterMine for QW. Since we made the MasterMine investment, we are able use the data out in QW to a much fuller extent for business planning and decision making. . Overall: We use QW for all sales quotes that are generated in our office. Prior to QW, quote writing was done in MS Office. 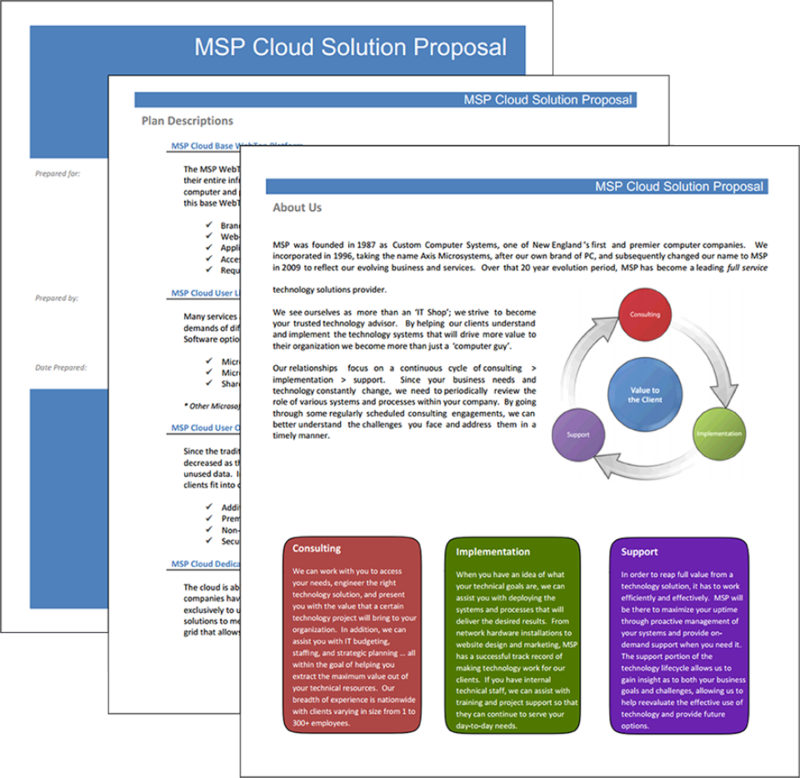 The implementation dramatically reduced time writing quotes and errors. 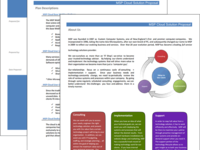 The ACT/Sage/edi integration completely eliminated duplicate data entry. The software is very easy to keep up to date, which was also kind of a 'sketchy' set of tasks prior to QW. The QW tech support people are top knotch professionals. During our implementation they were EXTREMELY supportive and wanted to ensure that we were self sufficient. After 2 years, we don't call them much (I am sure they miss us), but when they do that are terrific. Pros: The ease of use and various integrations are some of it's strongest features. We had no issues getting it plugged into our CRM and Accounting software packages. When we had questions, Quotewerks support was always there to help guide us. Cons: Any issues we have with Quotewerks is purely minor issues like adding other shipping companies to the list in the procurement tracking model. There are workarounds to still provide tracking for LTL and regional freight couriers, but it would be nice to be able to have the ability to track all of the couriers. Overall: Our business model focuses on providing an outsourced procurement staff. I can honestly say we would not be as successful as we are without the use of Quotewerks. The efficiency of getting quotes assembled and distributed allows us to run a lean staff and maximizes our resources. The distributor integrations also reduced our RMAs significantly by allowing us to place the orders directly through Quotewerks instead of manual entry where mistakes can occur. Overall we couldn't be more pleased at how Quotewerks has helped our business grow. Pros: Quotewerks has a huge number of features. We extensive use the configurator and bundles that help our staff reduce mistakes. We have Quotewerks linked to salesforce.com and that reduces the amount of double keying and provides a audit trail between the two systems. 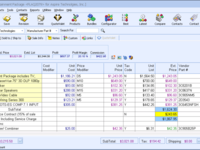 Quotewerks has a low price point making it ideal for companies to start using a CPQ tool. Quotewerks support is very good because you get to talk to a person about your issues with the software. One service we used that was very helpful was a 1 hour review of how we have our software setup and recommendations for best practices. Cons: Quotewerks provides so many different features it's hard to determine which way is the best way to configure the software without assistant from support. 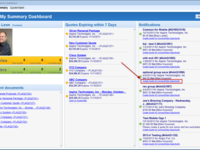 Overall: Integration with salesforce.com, a basic configurator and a low price point. Pros: We find QuoteWerks to be fairly priced. It is customizable to suit our particular needs. Whenever we have had any technical trouble, the tech support team has always been quick and very knowledgeable. We have the professional edition tied into our Quickbooks accounting software, which has resulted in a large time savings! Cons: The GUI isn't the prettiest or most modern, but it is functional and mostly intuitive. There have been frustrations with technical issues from time to time, but they are usually pretty quickly resolved with help from tech support or in an future software update. Updates are frequent and fix bugs often. Overall: Saved time; provided a professional appearance to our out-bound quotes; easily integrated with our accounting software; allowed us to better work together as a team to complete sales; easily integrated with our CRM software. Overall: Quotations are efficient to create, easily searchable, trackable and templates allow us to represent multiple business units on one platform. Pros: I love the flexibility of being able to format the quotes the way I want them to look to the customer. The product listing and pricing options are very easy to use, and I can adjust on the fly very easily. Being able to sync with Quick Books Online ia great plus also. Cons: Needs to be able to send appointments to Google Calendar. They work with Google Contacts and Gmail, why not Calendar?? Some of the features require moving to a higher level package and I am so comfortable with what I have, I have decided to do without. Just what works for me. 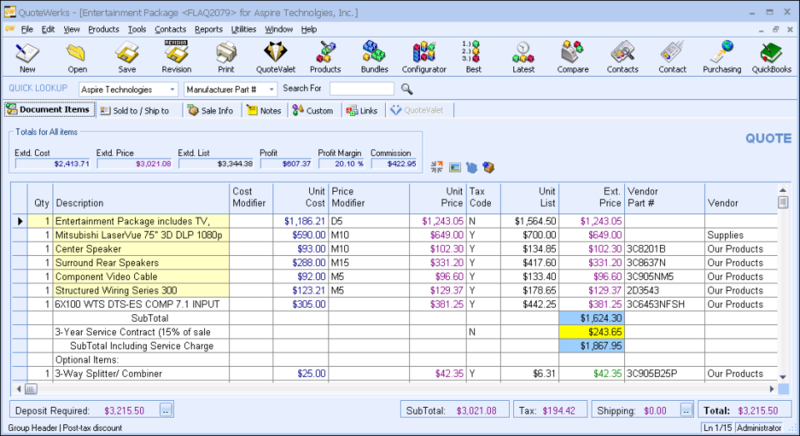 Overall: Quick, easy, and efficient quote to order to invoice process. All of the accounting/crm programs have some type of quoting module but none of them come close to QuoteWerks. Pros: Easy to set up and easy to use. Minimal "bells and whistles" keeps you on task and making quotes. Great for the first step of the sales process only and sending out for invoicing to another product. Cons: Great software for the first step of the sales process only however... 1) Not all info is searchable. 2) Does not integrate with many programs and not all fields integrate. 3) "Tickle" or reminder functions minimal and only in quote valet. 4) reports are clunky and minimal without paying to customize. 5) No workflow automation. 6) Minimal notifications as to quote progresses or when approved to client or inter-company personnel. 7) Interface looks the same as it did in 2012 when we started. 8) Not enough logging of estimates as they change or are updated. 7) No scheduling functions. 9) No "app" for smart phones. 8) Minimal Export functions. 9) Dashboard notification options are very limited to just two integration programs and not for overall quoted work. 10) No Service Operations Automation or Order management. 11) Does not allow for Teams or intercompany groups to be part of an estimate. 12) No intercompany communication short of a new added dynamic notes field which seems to be built with 1995 technology. 13) No auto follow up emails for estimates unless in Quote valet and they are somewhat generic. 14) Does not export "ship to" field to MOST integrated software packages. 15) No ability to auto CC office staff when creating an email template. Overall: It makes quotes and sends quotes to customers. Offers the ability to make revisions to quotes and keep the originals. Pros: Easy to use. Can manage many product lists and it is very detailed. this includes photos and even linking for easy quote building. Cons: Lots of areas to get lost, many sub menus. Might take some time to get up to speed if you haven't used it before. Initial training can be lacking. Building a template is not user friendly. Requires database cleanup as it will slow down if you don't. Overall: We use it to sell digital signage and software. We have been a customer for about 13 years and recently upgraded to the 2018 version, version 5.0. I am the admin and manage the users in the system along with their rights and privileges. Pros: It is quick and easy to create professional looking quotations to send to our clients. It links with GoldMine to aid in tracking quotes and creating follow-up reminders. Cons: It is more directed to a manufacturing industry than a service industry. Also, the reporting is not very user friendly, although its been recommended we purchase Crystal Reports. Overall: We have been using QuoteWerks for several years, but I still remember the days of creating quotes in Word, which was tedious and time consuming. QuoteWerks made creating quotations and tracking them quick and easy. Cons: There is not any glaring issues that I have with the system that are worth mentioning. Overall: We used to create quotes in Word, and that was cumbersome. QuoteWerks has saved us time and makes our quotes look more professional. Pros: It's really a great quoting tool. It works well with ConnectWise, and its ability to export to Excel is great. Cons: The ad-ons, such as Etilize, are OK, but not great. It can be a bit buggy and. The Quote Valet fearute seems nice, but I think it's too expensive. Overall: We use it because all quotes flow into ConnectWise, including products and services. This means we don't have to type things over and can greatly reduce the number of transposition errors. It's also nice to have one spot for a common product database. We use it in a terminal server environment and it works well. Pros: I like the ease of use after configuration. Its pretty easy to generate a quote and get it sent out. I also like the fact that the quotes are securely delivered and can be accepted and paid through the email. It integrates with our merchant services so we can take deposits upon acceptance. Cons: Initial configuration is a bit advanced. This software is rich in features, so it may take a bit of assistance from the Quotewerks staff to get everything configured how it should be, prior to initial use. We use Quotewerks daily to quote services and product sales. Pros: QuoteWerks can be customized to suit the needs of your business. Products are stored in the database to easily select for future quotes. It integrates with Quickbooks sending the quote over to be invoiced. Emails are sent to the addresses you specify alerting that a project has been won. Cons: The item numbers are limited to a certain number of characters which causes the sync to QuickBooks to fail if your part is too long. Overall: helps our sales team to quote, track, and win projects! Pros: Database driven. Lots of flexibility. PDF output. Ties into CRM. 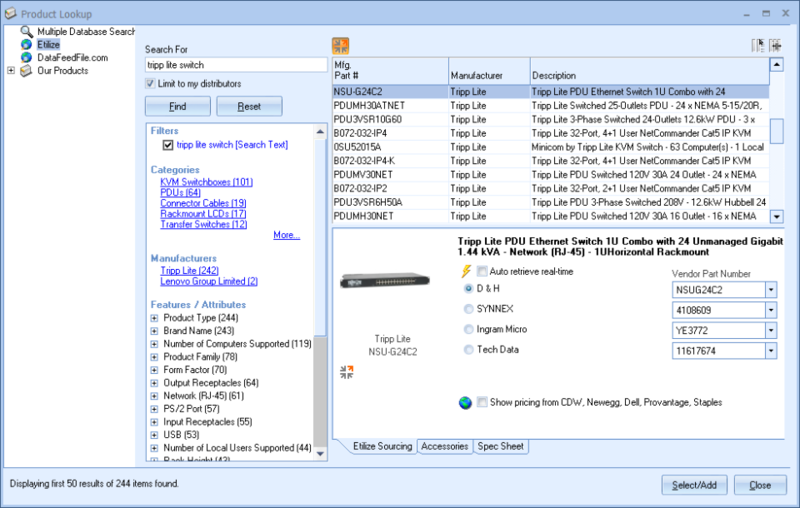 Easy to organize product database. Cons: Would be nice if quote item table could be put in a mode to auto-expand description/note fields when entering the cell. Can't open product database without creating a quote. Pros: I use the quoting tool multiple times a day. It's efficient when pulling information from other databases. There are multiple fields for data capture. Cons: The overall look of the proposal is ok. I wish there were different format options for more complex proposals. When adding comment fields, it numbers them in the proposal and it's a bit confusing looking. Would be nice to have a hierarchy consisting of a main part number and then the other components under it. Pros: Easy to use and "integrates" nicely with our Maximizer CRM. We use only parts of the systems as we use it for order entry and not really for quoting and pipeline management. The order part works perfectly for our needs. Cons: The reporting features could be better with some easy-to-use templates, WYSIWYG etc. It would also be great with some tighter integration to Maximizer - i.e. to the Opportunities part. Perfect solution for quoting software! Pros: Ease of use, ability to customize generated reports, centralized storage for multiple sales persons quotes. Cons: Fixed field positioning for tabs in software. Overall: Before Quotewerks, our office was using Microsoft Word to create quotes, and save them in a random folder. Quotewerks has enabled us to all utilize one system, keep everything organized, track our sales history, and streamline all of our sales processes! I highly recommend it for anyone looking for quoting software! Pros: QuoteWerks is very easy to learn to use. Overall: Everyone in our office are on the same page now when it comes to how our quotes look and what information needs to be relayed to the customer. We are all able to see and have access to each others quotes, which is helpful when someone is out of the office. Pros: easy to use and deploy, not expensive and great customer services. Cons: knowledge base sometimes can be though to find information and they send out several updates through out the year, this can be a bit of a problem when trying to stay current. Overall: Over all this is a great program, very easy to deploy and use, it is comparable with a lot CRMs and account software, and they provide some cool options for extra cost as well. Pros: Connectivity to our CRM, ACT is extremely helpful as well as to Microsoft Outlook. I love emailing directly from QW to my customers. Cons: Reporting leaves a lot to be desired. I wish I could easily edit the field layout on the main tabs. Some field labels I've created are too long and won't fit, so most of the label info is lost on the screen. Overall: All or most order info in one place. Works well!! Lot's of options and customization. Takes some time to get it all working well. Pros: Customization. You are free to create and use the quoting software in the way you would like and works best for your company. I've been using this since 2012, and it's been getting better and better. Cons: It does take some work to get it all set up, but in the end it is worth it. It took a bit of time to learn, but they have lots of videos to help you along your way. Completely changed the way we deliver quotes! Pros: The software - especially when combined with QuoteValet, has changed the way we deliver quotes. It makes it SO much easier to deliver professional quotes. Cons: It can be a little tricky to take advantage of the product database. I still feel like I'm massaging our product list even after 5 years. It just takes time to get it right. Overall: Simplified quoting and approval process. We all just love it for we have it on a host server so all field salespersons can log in to create . Pros: it integrates just great with ACT! our customer database of over 25 years integrates easily with QW's. We have over 200 vendors that we keep price changes updated in QW's to make quoting easy any accurate. Cons: Theirs nothing we don't like about it. Do wish vendors would use the same format for their price lists and have some automatic way to import from the web. Cons: Difficult to set up. Time consuming to configure at first use. Our pricelist was not configured properly when QuoteWerks was first set up. It is taking a very long time to set up properly now. Overall: It's the lifeblood of our operation. We have been using QuoteWerks for about 13 years. Every revision gets better results. Pros: I was able to try it before buying it. I used the results to prove to upper management that it was a good solution to our quoting. Cons: No real problems to complain about at this time. I would like to see more characters (beyond 256) for some of the CustomText fields. Overall: Gave us a valuable quoting systems to go along with ACT. Pros: Ability to run my business through one software system that can integrate with my distributors. Integrated leasing and pricing comparisons. QuoteWerks makes things much easier! Pros: QuoteWerks makes the ability to quickly send a prospect/customer a quote in a matter of minutes as well as the ability to track the quote with QuoteValet! Overall: QuoteWerks over as a company is wonderful. I attended the workshop in Orlando and just loved it! Cons: we have a large database that takes a little bit to search through. Overall: typing custom reports per customer needs, this product is a 10 out of 10. the notifications of new software or webinars is every helpful for staying up to date and being trained. Pros: It's a good quoting tool, clear to read, and you have the option of connecting data w/distribution. Overall, it's been reliable. Cons: We may have missed the boat on all of its functionality and the features it has to offer. I feel I'm not scratching the surface as to its capabilities. Cons: There is nothing I have a problem with using QuoteWerks. I have never had any issues as it always works great with no issues. Overall: Ease of sending quotes and invoices. Pros: Love the salesforce and quickbooks integration. Also like the product database way of doing things. Like being able to use different layouts and sync. Cons: really wish it was easier with remote sites. Would like the web to be easier to setup. somewhat clunky for a new user. Cons: There isn't much to not like about QuoteWerks. In my scenario it requires my accounting package (QuickBooks) to be open for its integration to work correctly. This means that each QuoteWerks user needs a QuickBooks license also. I understand why it has to be done so I am not complaining all that much. I am just noting that if there was a different way to do it I could save on some QuickBooks licensing. Pros: QuoteWerks has turned our quotes from mediocre at best interaction with our customers, to a very professional looking and branding document. Cons: The template interface should be easier. Overall: Our quotes look much more profession! Overall: Quotes and followups no longer fall through the cracks (like they did when made in Word / Excel). Such a time saver for getting out quotes and I love how it integrates with my Act! database. Pros: The way it works with Act! Easy to stay on top of my opportunities. Also the support is excellent. Cons: It's so powerful that it can be a little complicated to get started but well worth it. Setting up remote users is not the easiest. Pros: Its integration with PSA tools is top notch. Its ease of online quoting and ordering make this a great product to use. Cons: Overall the product is great but the design, color scheme, etc are a bit dated. Pros: Extremely malleable to many industries. Can pretty much tailor the software to almost any product-oriented sales company's needs. Cons: Maybe too much focus on the computer components industry. This tool has raised our sales game and has helped present a much more polished proposal to. Pros: I like that I can easily add items. I can track revisions and I can separate items on the proposal itself. It makes for a easy to follow proposal for the client. Cons: My biggest gripe is that I still can't import my Dell proposals it really makes it difficult to have to cut and paste each quote I get from Dell. Cons: The number of characters we are allowed to use on the text fields. Pros: We discovered QuoteWerks by accident when encountering some issues with Sage 50 where Sage 50 was not meeting all of our needs. Quotewerks offers a great quoting platform that ties directly into our Sage Database to import Products, Vendors, Customers and more and allows us to more efficiently and strategicly make purchases and sales. Cons: We have nothing negative to say about this product at this time. Pros: Integration with other software and ease of use. 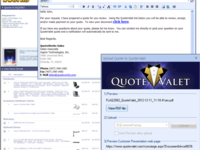 Pros: Quoteworks is great for sending my customers quotes via email, regular mail, or just on site. They are very flexible, integrates with other programs, and the support is great. I have used it for years and very happy with it. Cons: Support sometimes takes longer than expected, but they always respond and have always helped me through any issues I have had. Overall: Issuing quotes to customers is always hard to do, but Quoteworks has simplified this and has helped me grow my business. Pros: Only pro is that it is cheap. Cons: Lots of it. If you are solution provider doing a bit more complex projects where customers demanding several different quotes to see where they stand, can't support different character set like we are working in English only world (this created really unprofessional looking quotes), can't handle VAT in way it is according to the law or it can't create options on quotes where different VAT calculations are included. I won't even mention issues with proposals which are more complex then quotes. Overall: Our experience with QW is disappointing. We were expecting to solve few issues within our quoting process but unfortunately we will be looking for another solution. Recommendations to other buyers: If you are selling TV, refrigerators or other appliances, it is good software. For a bit more complex quotes or proposals, look for another solution. Cons: The user interface does not follow the normal standards in many cases of the Windows platform for focusing on input areas or utilize drop down lists/lookups to make the program more utilitarian. If they would spend as much time on the user interface as they do updating functionality with databases it would be awesome. Adding a more automated method of building output formats would be welcomed since a person could make a full time job of learning the macro formats. Pros: It works amazingly with AutoTask. Can quote and order products quickly. Cons: There is a lot of functions that I'm sure I am not using. I am looking forward to the conference to explore everything this product offers.